The Brooklyn Bridge has become an icon of New York City as it is very popular and one of the most recognizable works of architecture in the world. 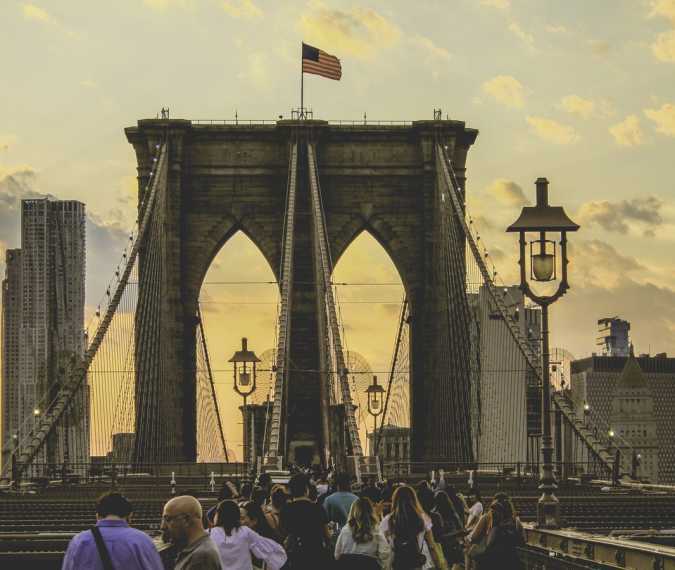 Started in 1869 and completed fourteen years later in 1883, it was the first steel-wire suspension bridge constructed .The bridge connects the boroughs of Manhattan and Brooklyn. The Brooklyn Bridge in New York City opened to the public on May 24, 1883 and is one of the oldest roadway bridges in the United States. Thousands of people attended the opening ceremony and on that first day, a total of 1,800 vehicles and 150,300 people crossed the bridge. For the first five days everything was operating normally until May 30.Due to the fact that at the time it was the longest suspension bridge in the world, many New Yorkers were wondering if the bridge could sustain the weight that was expected to carry.